Eng Chan is a Finance and Business Operations professional, with a passion for language learning and writing on the side. 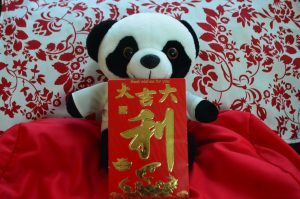 As a Canadian-born Chinese, whose first language is English, she became interested in learning Mandarin during university. Since then, her passion for learning the language took her to Taiwan, where she credits most of her Mandarin fluency. Eng is an avid traveler, who loves to experience different cultures and cuisines. Her favourite ChinesePod lesson is Meditation 冥想 -- a hobby that she recently took up. …Or so the saying goes, originally coined by Chairman Mao, now a reminder to countless visitors who travel far and wide each year to personally step foot on the magnificent Great Wall of China that spans over 21km in total across the Middle Kingdom, built across several dynasties over thousands of years of Chinese history. A wall so great, where does one even begin to try to experience its grandeur or capture its beauty? 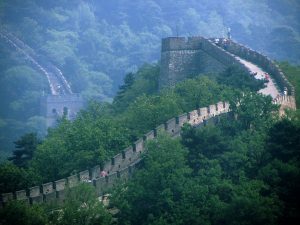 In sharing extensive research conducted for my own recent visit to Beijing, below are 5 amazing sections of the Great Wall of China that you can visit from Beijing, one for every kind of tourist on any kind of schedule. If you’re the kind of tourist who wants to go where everyone else has been and capture THAT famous photo you’ve seen friends capture at that exact place every tour bus makes a must-go-to stop, then Badaling is your best bet. 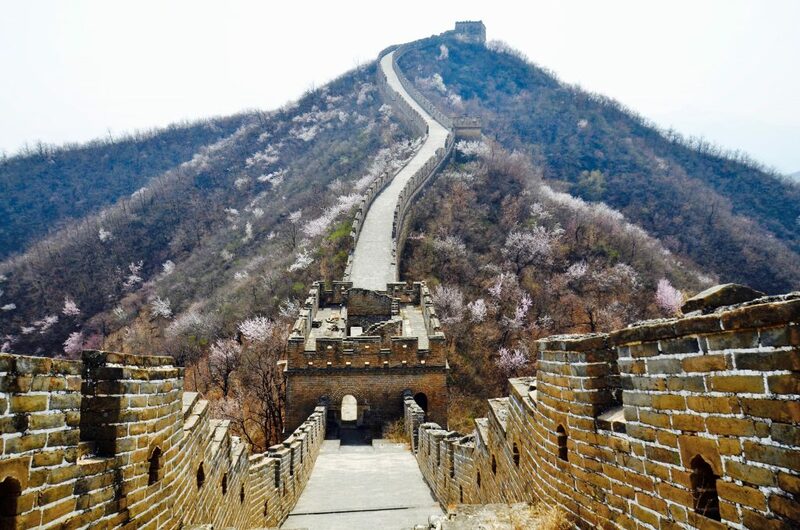 Badaling is hands-down the most visited and best preserved section of the Great Wall. 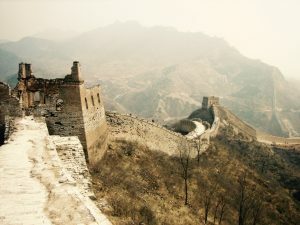 Close to downtown Beijing (70km) and easily reachable by public transportation, it may be the only option for those who have little time in Beijing, or those with limited mobility, allowing tourists young and old, regardless of physical fitness, the opportunity to experience the Great Wall. There is even a cable car and elevator readily available (as discussed in Chinesepod’s lesson “Wheelchair Access to the Great Wall”. For those wishing for a bit more elbow room than offered at Badaling, Mutianyu is a commonly chosen alternative. 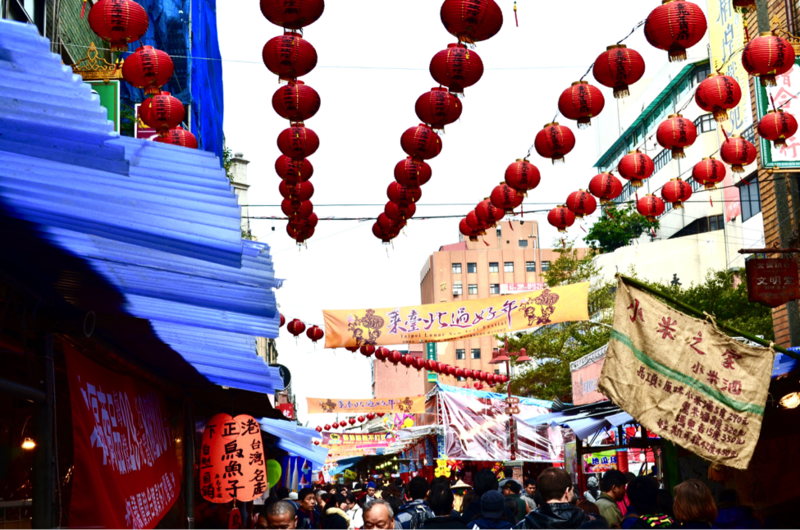 Situated only a little further from central Beijing, Mutianyu offers slightly smaller crowds. Also accessible by public transportation, most sections have been restored making it a safe and easy hike, offering beautiful views of forests and streams in the distance. 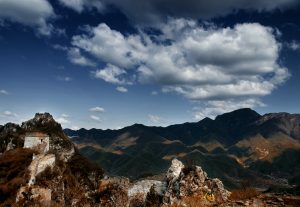 Mutianyu is often combined with other challenging hikes, such as Jiankou and Huanghuacheng (below). This 4-5 hour hike continues to be a favorite amongst international backpackers who dream of experiencing China’s Great Wall with all its rugged beauty on foot. 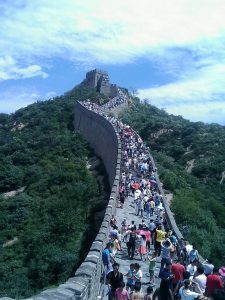 This was also my very first Great Wall hike 10 years ago, introduced in the Lonely Planet Guidebook (the “bible” for many backpackers). Approximately 130km from downtown Beijing, this hike from Jinshanling to Simatai is definitely worth the extra time and sweat, if you wish for isolation, good exercise, and stunning beauty, all on a safe and moderately strenuous hike, offering unparalleled natural beauty. Learn more here. 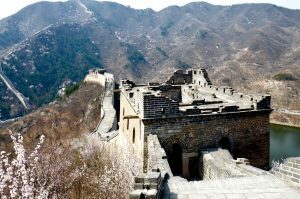 Never heard of the Huanghuacheng Great Wall hike? Probably because most backpackers don’t even know it exists (as of yet) and it is not an official Great Wall hike (despite the $5 entrance fee). Expect to see fewer people (more locals than foreigners, in fact) than any of the three hikes introduced above. While not as rugged or dangerous as Jiankou (below) due to a combination of restored and unrestored sections, it does feels more isolated than Jinshanling, due to its unofficial status. Extreme steep climbs and descents make this hike more physically challenging than Jinshanling, and sometimes scary, but because you are required to turn back to your starting point (unless you hike 2 days to Mutianyu), you have the flexibility to decide how far you want to continue based on your comfort level. On our recent trip to Beijing, we hiked Huanghuacheng section, and were pleasantly surprised as we hiked further, there was not a soul in sight! Many hikers stopped after the first uphill climb, so the further we went, the more wonderfully remote it became. It was just us and the magnificent Great Wall, surrounded by stunning mountains, water, and flowers. We didn’t, however, see the yellow flowers that gave its name. How to get to Huanghuacheng: Bus 916 from Dongzhimen Bus Terminal to Huairou (approx. 1 hour), then take a taxi or hire a driver. We decided to hire a driver, who was willing to wait for us to complete the hike, to ensure we have transportation back to Beijing. Considered a photographer’s dream and the very definition of “wild Great Wall” Jiankou is also one of the most dangerous and mainly unrestored sections of the Great Wall, and not officially open to tourists. This section is best reserved for very experienced hikers, and best tackled with a local guide. People have actually lost their lives on this hike, so best to proceed with caution. I have not personally hiked this section, and suggest doing further research on the safety of this hike before considering tackling it. More information can be found here. With so many sections of the Great Wall available, it can be hard to choose where to begin. Try out one of the above 5 sections of the Great Wall on your next visit to Beijing and share your experiences in the comments below. Remember, regardless of what part of the Great Wall you hike, it is guaranteed to leave you in awe! Have you ever wanted to laugh in Chinese but you’re not sure exactly how? Let’s rewind a bit. In today’s technological world, our “conversations” are often electronic rather than verbal. There are many ways to express emotions using different messaging options available, including the widely used WeChat, and therefore, several ways to express laughter electronically in Mandarin. However, not all mean the same, and not all methods are identical to the English equivalent. The first thought that came to mind was: Of course it doesn’t! Why would it make someone feel bad? I proceeded to explain that in English“hehe” is simply a way to display a laughing emotion electronically, similar to “haha”, both being positive expressions. However, during this conversation it came to light that there exists a fundamental difference of common displays of emotion when switching between languages; often times, they are not exact translations. You don’t agree with something someone said. 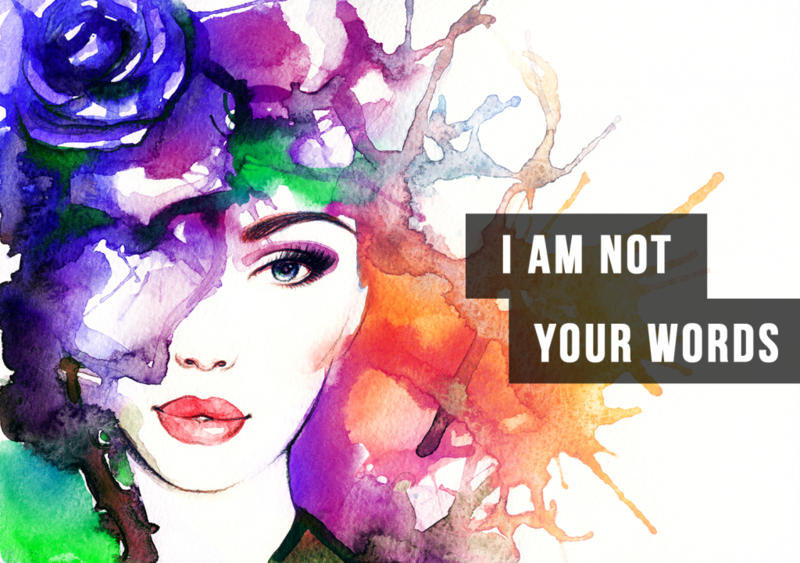 Your response? “hēhē|呵呵”. Hāhā|哈哈: The most common way to express online laughter in Chinese, much the same as the English equivalent of “haha”. 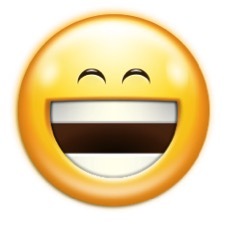 In most situations, you are safe to use this expression to convey happy laughter or a smile. Xīxī嘻嘻: Similar to the English equivalent of “hehe” or “heehee”, it is a positive way of showing humorous slyness or cuteness. For example: I love the cookies you made so much that ate them all and didn’t leave my sister any. Hehe. You can substitute the English “hehe” in this situation for Xīxī嘻嘻in Mandarin. Hēihēi|嘿嘿: A mischievous, naughty (tiáopi|调皮) laugh. For example, “Hēihēi Zhè jiùshì wǒ gàn de |嘿嘿,这就是我干的!”(That situation was my doing). This can be compared to the English equivalent of “heh heh” or even “hehe”. 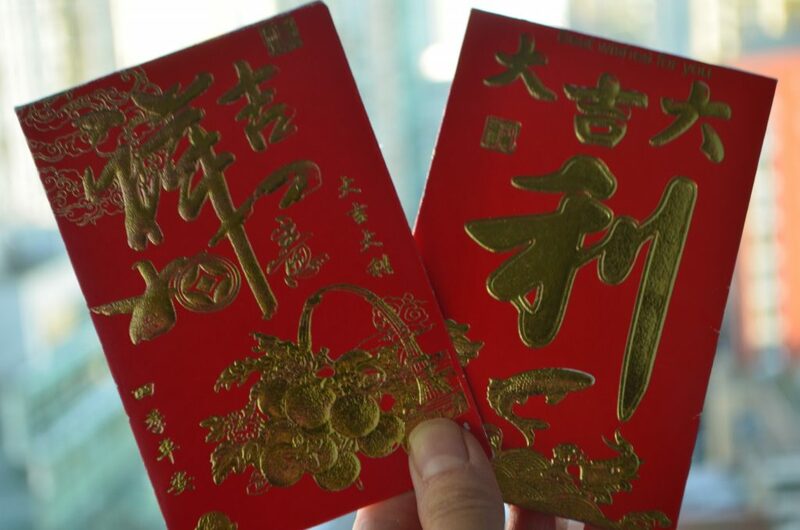 Finally, try to avoid transporting English phrases into your Mandarin usage. Reserve “LOL” for English text messages, as many Chinese people will not know what this means. Shorthand methods of writing emotions are constantly changing, and it can be difficult to keep up in a second language. Next time you want to laugh in Chinese electronically, follow the above guidelines to choose the most appropriate way of displaying your digital smile for the situation at hand. Learn more about laughing in Chinese by checking out Chinesepod QingWen lesson on different ways to say funny in Mandarin. Or, if you are talking to someone and think they sound funny when they laugh, listen to this lesson on how to say “You Laugh like a Donkey”.